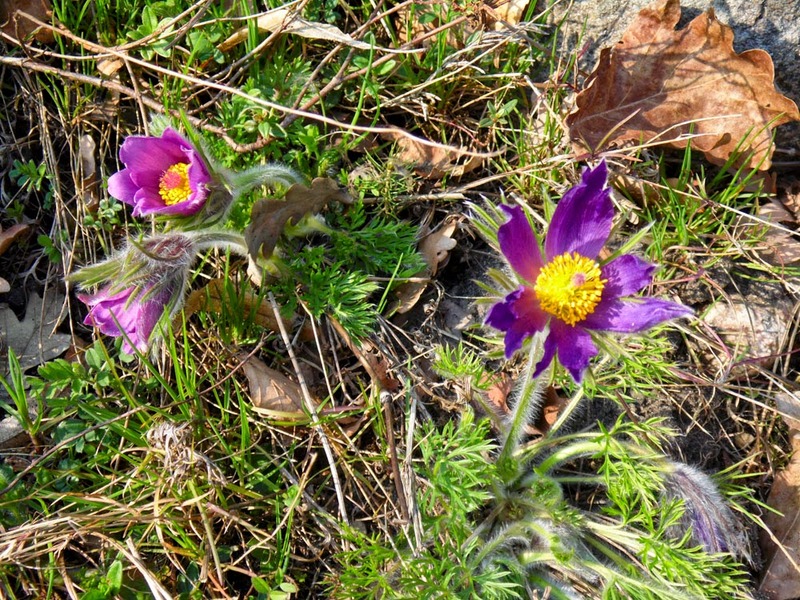 With the festival of Passover approaching (this year it begins on the evening of 14th April) it is appropriate that pasque flowers (Pulsatilla vulgaris) are in bloom. In Hebrew, Passover is Pesach, which via Greek and then Latin found its way into the Romance languages, including Norman French and hence to mediaeval England, as Pasque. The German name Kuhschelle means cow-bell. They are also commonly known as Küchenschelle, where Küchen is a diminutive of Kuh, so 'little cowbell' (nothing to do with Küchen=kitchen!). 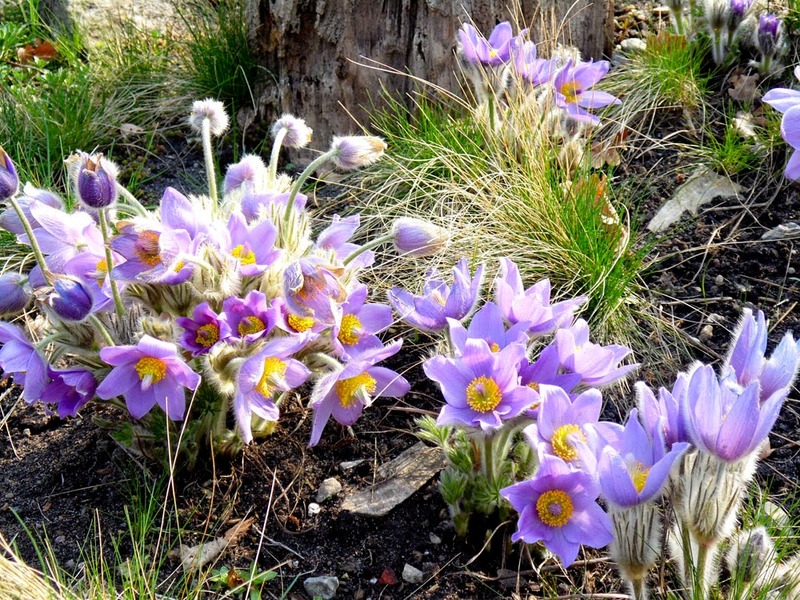 The genus Pulsatilla takes its name from the Latin pulsare, which means to strike, as in strike a bell. There are 33 species in the genus; here I am mostly looking at Pulsatilla vulgaris, which is Gewöhnliche Kuhschelle ('common cowbell') in German. 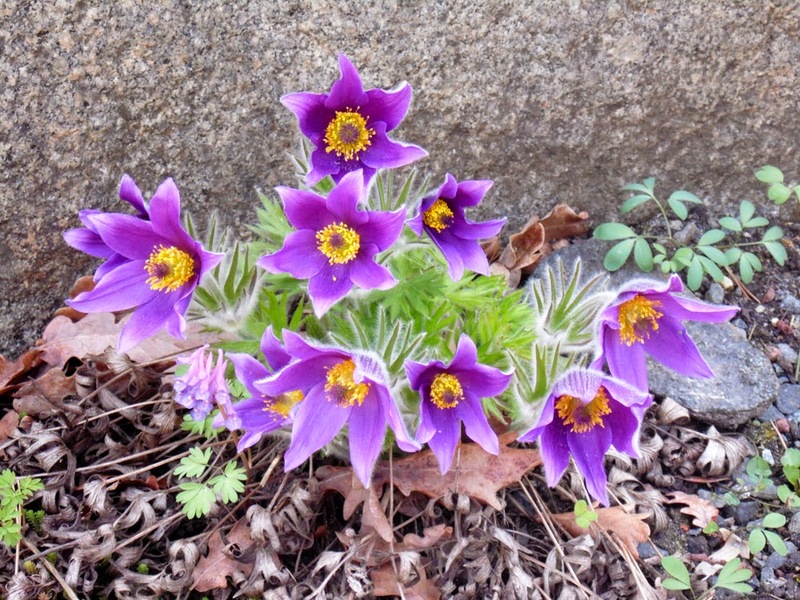 Pasque flowers contain the toxic skin-irritant protoanenomin in all their parts, just like anemones do, so the same advice applies as I wrote about wood anemones. Basically, do not handle. Do not eat. Do not self-medicate. 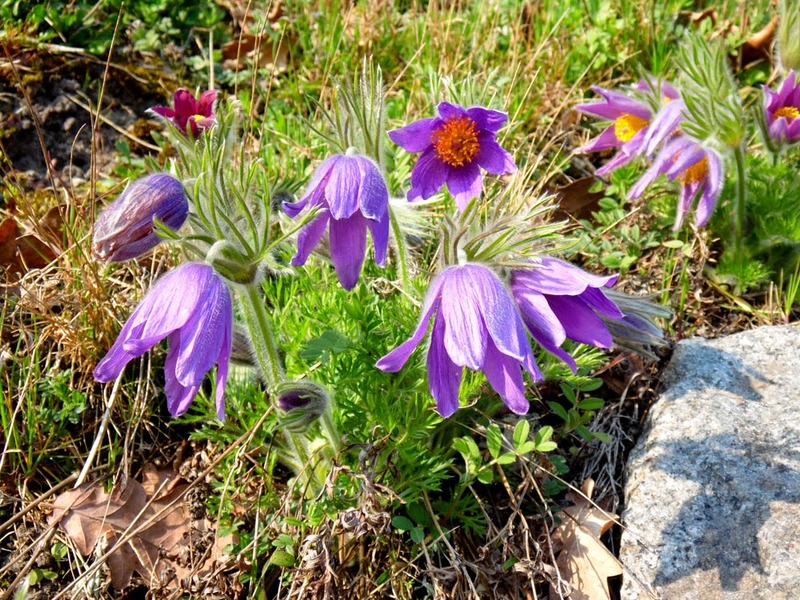 In fact, some botanists classify Pasque flowers as an anemone (as Anemone pulsatilla) because they have so much in common. 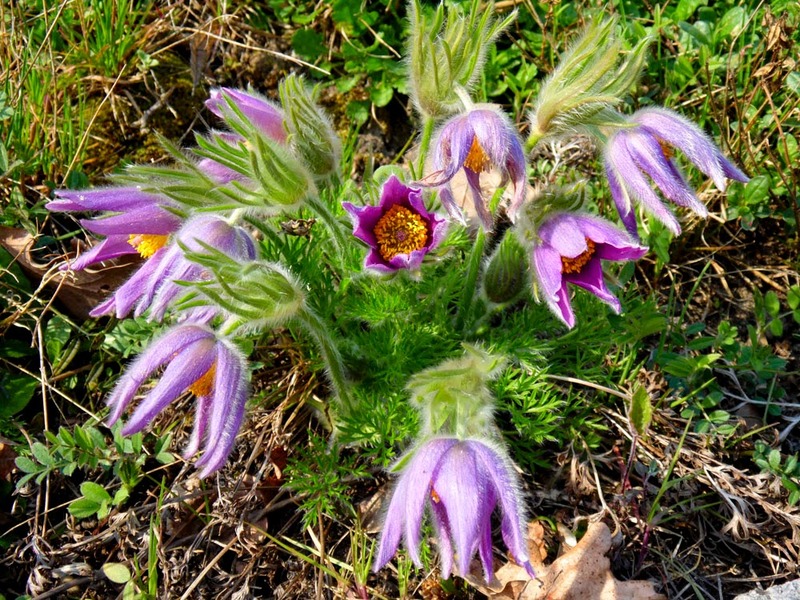 After the sepals have withered and the fruits ripened, the pasque flower develops a whispy, silky seed head that has meant it has the names Bocksbart (goat's beard) and Teufelsbart (Devil's beard) in some regions of Germany. It also has an evil reputation in places; in Brandenburg it was believed that if you came upon a seed-head, that marked the spot where a hunter had shot down a flying witch. In other German regions it was believed that if you brought a pasque flower into the house it would cause your goslings to die in their eggs. In Britain it was believed that pasque flowers sprang up on soil that had at one time been seeped in spilled Viking blood. This might be because they were to be found growing on dykes and round-barrows, which at one time were thought to have been built by the Danes.